The 89th Academy Awards are upon us, which we think is a perfect excuse to put your pajamas away, closet your inner winter hermit, and host friends for an Oscars viewing party. We’ve curated several of our party favorites to wow your friends and please their stomachs. Keep your Oscars party cocktail light and easy; after all, it is a Sunday night. This Pink Statue cocktail is sure to ward off the Sunday Scaries. It’s light, effervescent, and perfect for making a pitcher to imbibe with your gal pals. 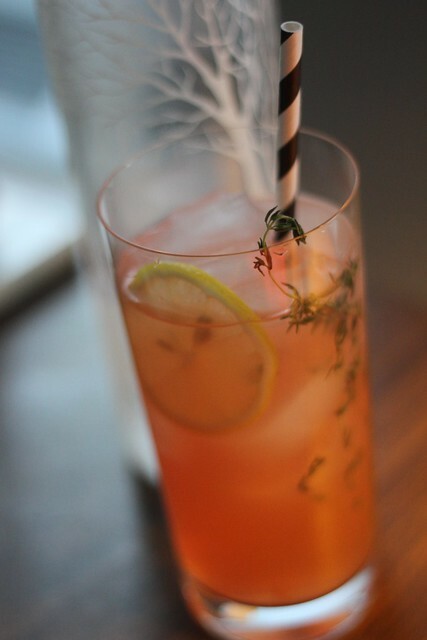 Adorn it with a cute striped straw and garnish with rosemary sprigs for bonus hostess points. Brie is a total crowd pleaser, and this dish takes our favorite cheese to another level. Topped with a delicious brown sugar glaze with winter fruit, it’ll be gone before the big awards! It also looks super fancy, but it’s very easy to prepare. Preheat oven to 350 degrees. Coarsely chop apple. Combine apple, almonds, cranberries, brown sugar, and cinnamon in small batter bowl, mix gently. Stir in butter just until ingredients are moistened. Cut Brie in half horizontally. Place one half of Brie, rind side down, on small pan. Spoon half of the apple mixture onto bottom half of Brie, spreading evenly. Top with remaining half of Brie, rind side up. Spoon remaining apple mixture over top. Bake 12-15 minutes or until cheese is soft and just begins to melt. 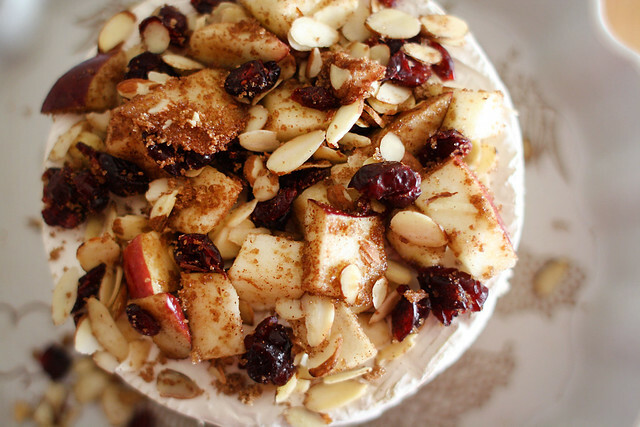 Serve with apple wedges and assorted crackers. Because after all that imbibing and a few controversial awards, you’re going to want some guilt-free sugar therapy with these yummy bite-size desserts. 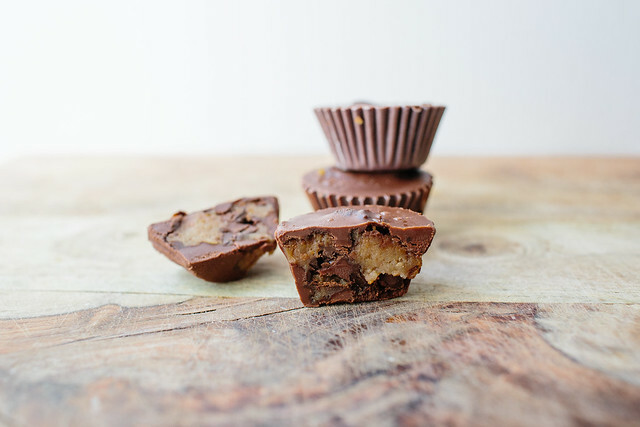 We know this looks like mini Reese’s Peanut butter cup, but what if we told you this recipe was actually healthy? Meet our new favorite late night freezer friend, P.S. Snacks, otherwise known as vegan, gluten-free, cookie dough. At a price point that’s cheaper than almond butter and more versatile—we’ve added a scoop to our morning smoothie, made protein bites for a midday pick-me-up, and can’t wait to make ice cream sandwiches this summer—we’re turning to this nut-based snack, so we can indulge without the guilt. After all, our cravings don’t subside just because bikini season is around the corner. And if you can’t indulge during awards season, when can you? The best part about this recipe is that you can make these bites ahead of time and freeze them until your guests arrive. We won’t judge if you stash some away for a private post-party snack. In a small bowl, combine the melted coconut oil, cocoa powder and sweetener. Pour a small amount of the liquid chocolate mixture into each cupcake liner, until the bottom is thinly covered. Place in the freezer for about 10 minutes. Remove, and place Cookie Dough on top of each layer of chocolate. Pour enough of the chocolate mixture over the Cookie Dough to cover, and repeat until each cup is covered. Freeze until hard. P.S. If you’re in D.C. and don’t want to host, be sure to head to Commissary for its Sixth Annual Oscars Viewing Party. This year, the restaurant will transform into the set of La La Land (with a La La Land-themed menu), with red carpet viewing starting at 4 p.m. Reservations are recommended, and can be made online or by calling 202-299-0018.